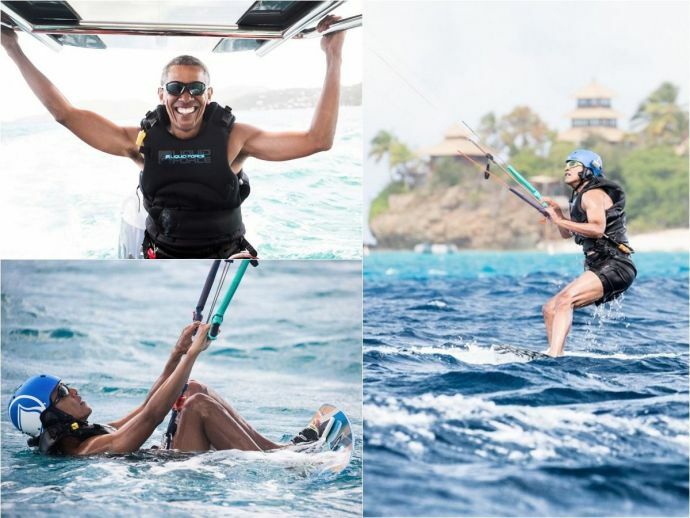 Branson and Obama started a friendly competition to see whether Obama could learn how to kitesurf before Branson could master foilboard. 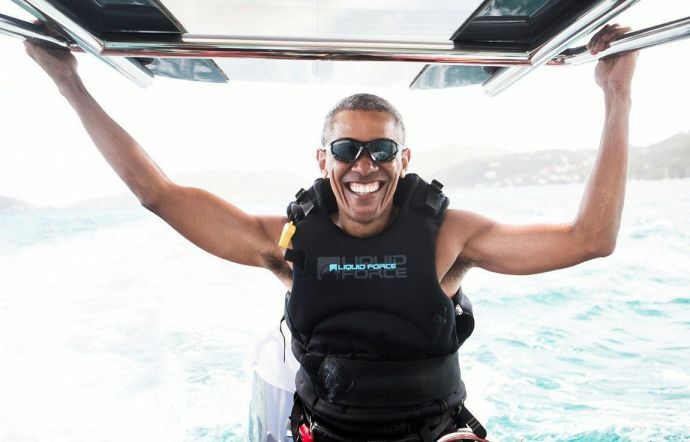 Former US President Barack Obama, after leaving the White House, is enjoying his much-deserved vacation along with his wife Michelle Obama and friend and billionaire Richard Branson on his private island named as the Necker Island. Branson, the founder of Virgin Group, said in a blog post that he invited the Obamas to stay on the islands soon after the end of Obama’s second term as president. Branson also said in the blog post that Obama told him that just before he became president, the Secret Service said he wouldn’t be able to surf for eight years. But, now that Obama is free from many Secret Service-imposed restrictions that did not allow him to participate in watersports, which he said enjoys the most, Branson offered Obama the chance to learn how to kitesurf. And to make things look more interesting, Branson decided to take on a challenge of his own. 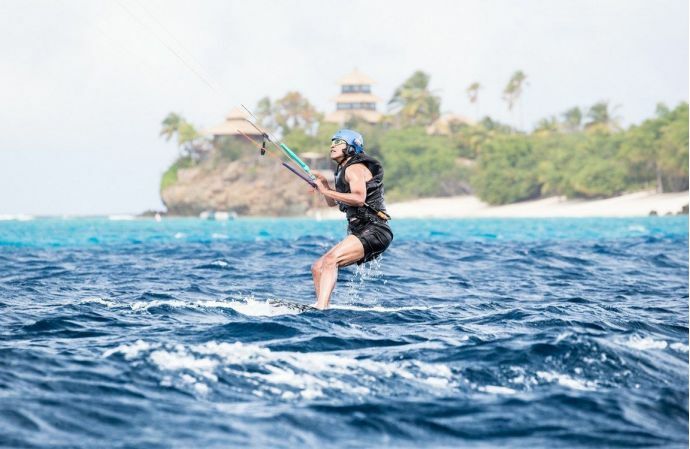 According to the blog post, Branson and Obama started a friendly competition to see whether Obama could learn how to kitesurf before Branson could master foilboard. 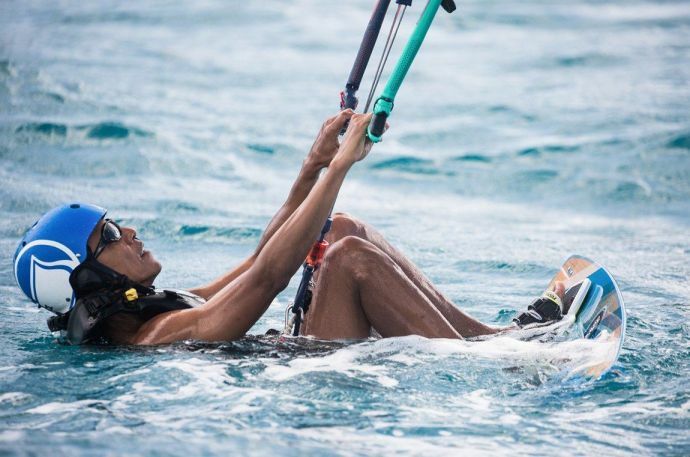 After a few days of training, the battle was on and Obama kitesurfed his way to victory. Check out some of the enthralling photos from their vacations. This midwinter getaway also made a lot of Americans feel a little envious and they surely have a lot to say about it. For further info, check out the video, it will give you some serious vacation goals.